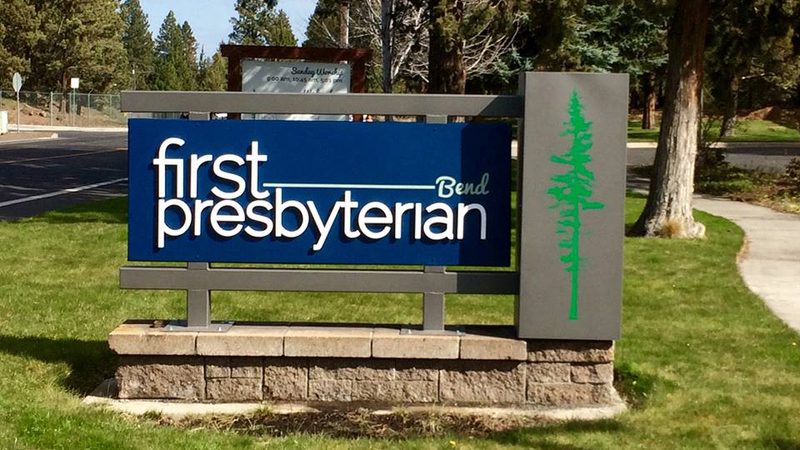 Located off Woodland Pond Park in northeast Bend, First Presbyterian of Bend believes in “Spacious Christianity—a generous, wholehearted, inclusive faith, where you will meet people at many different places, theologically and spiritually.” The church does not ask anyone to sign creeds or statements of belief; it wants to be a place where diversity brings people together and where conversation takes them all deeper in their understanding of God. With roots in Bend that go back over 100 years, First Presbyterian Church started in a little log cabin in downtown Drake Park, then moved to their first church building, known today as the Old Stone Church. The church congregation fosters connections with fellow members, the greater community, and the world. Services are held four times each Sunday, with a contemplative + communion session on Wednesdays. In all services, the focus is on nurturing a life of faith that is about being in the world and a faith that shows itself in love.